LinChiaNing Metal Stamp, Aurora. Pattern size 28mm. The original sketch turned into a gorgeous metal stamp with a wood holder with a metal decorative nail on the top. Please note that there might be tool marks on the stamp and tiny cracks on the wooden handle which will not affect to the stamping pattern. For the best stamping image, you might want to use a foam, cork, or other soft material underneath your paper while stamping, as the metal stamp has a very hard surface. This item is for the 28mm pattern. Design by Lin Chia Ning. LCN Label stamp set C.
LCN Gummed Label Set - Specimen Labels Box No 2. LinChiaNing Specimen Tin No 1. Specially designed rectangular hinged lid tin. 100mm x 60mm x 15mm. Design by Lin Chia Ning. LCN Gummed Label Set - Specimen Labels Box No 1. LCN Fern postage stamp set B.
LCN Daily Tin - Day. LinChiaNing Daily Tin, Day. Specially designed rectangular hinged lid tin. 100mm x 60mm x 15mm. Design by Lin Chia Ning. 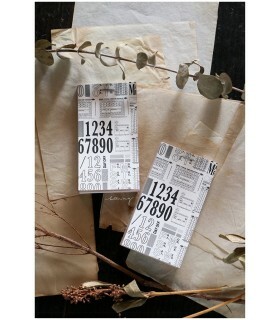 LCN Simili paper sticker pad. 12 different patterns, 36 pages. 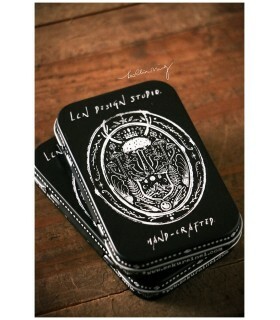 Size 10 x 5.5cm. Perfect vintage style stamping and crafting. Designed by Lin Chia Ning. LCN Fern postage stamp set A.
LCN Daily Tin - Night. LinChiaNing Daily Tin, Night. Specially designed rectangular hinged lid tin. 100mm x 60mm x 15mm. Design by Lin Chia Ning. 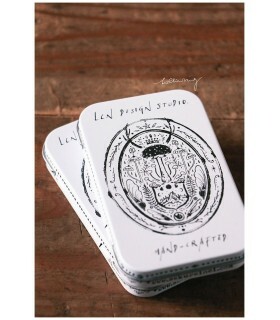 LCN Ticket stamp set A.
LinChiaNing Frame embossed soft enamel metal brooch. 60mm x 40mm. Design by Lin Chia Ning. LCN Lunar Stamp Set - S.
LCN Fern specimen stamp set E.
LCN Fern specimen stamp set D.